Cardinal Tauran’s annual message to Muslims for Eid al-Fitr, the feast marking the end of the monthlong Ramadan fast, was published by the Vatican June 19. Ramadan will end on or around July 17 this year. 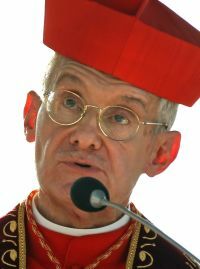 “All those (who) are involved in the education of the youth and in the various educational spaces should teach the sacred character of life and the derived dignity of every person, regardless of his or her ethnicity, religion, culture, social position and political choice,” the cardinal wrote.